Saunders & Co is one of the leading Turks & Caicos Islands (“TCI”) law firms, providing a full range of legal services to a global client base. It is a testament to the Firm’s services that its client base continues to grow rapidly and almost exclusively from referrals from clients and professional advisors. Saunders & Co has earned a reputation among clients for well informed counselors along with skillful execution of client objectives. The Firm has become the legal practice of choice for purchasers and developers of local real estate and for professionals hoping to direct clients to legal advisors that are thorough and knowledgeable yet swift and accessible. We are consistently at the centre of the largest and most complex transactions in the TCI and the Firm counts among its clients some of the largest public companies in the world, along with local and international legal practices and real estate agencies hoping to secure the best representation for their clients. 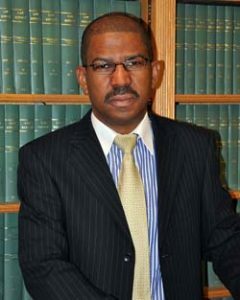 Norman Saunders, the firm’s founder, is an indigenous Turks & Caicos Islander who read law at Cambridge University, England and Philosophy and Economics at the University of Toronto, Canada. 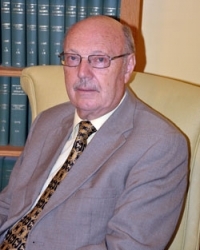 Mr Saunders has brought to the Firm an encyclopedic knowledge of general legal principles along with an acumen for astute commercial judgment, and an unrivaled knowledge of the local terrain. The Firm is a dynamic assembly of attorneys and support staff of the highest calibre, with an unparalleled understanding of local regulation and practice, government policy, business and the law. This website briefly describes the main areas of the Firm’s practice and the Firm’s philosophy. The Firm’s emphasis is on corporate and commercial work, including contentious work, but the Firm offers a full range of legal services including banking, conveyancing, commercial property development, perfecting of security interests, civil litigation, private client work, insurance, trust and estates, intellectual property, mutual funds, financing, arbitration work, and insolvencies. Locally, the Firm is closely affiliated with Saunders Management Ltd (a corporate services provider) and Saunders Private Client Services. Internationally, the Firm has a number of affiliations. Recognized as one of two leading law firms in the TCI by Chambers Global, for 2012 & 2013. Representing Chinese developers on the acquisition of the partially completed 19.34 acre, 229-unit Royal Reef Resort development. Successful proposal to intensify development on Providenciales in areas zoned for ‘resort and tourism development’, increasing heights from 7 stories (90 ft) to 12 stories (150 ft), from 25 bedrooms an acre to 50 bedrooms and acre, etc. Pro bono representation of 42 Haitian Nationals unlawfully detained by the Royal Turks & Caicos Islands Police, resulting in an offer of compensation from the Turks & Caicos Islands Government. Providing collateral support for a US$200M multicurrency, multi- jurisdictional, syndicated senior secured credit facility. Representing Lehman Brothers on a $127 Million construction loan for the Ritz Carlton, West Caicos (the largest loan to an entity engaged in business in the Islands). Representing Hewlett Packard on the TCI aspects of a C$156M fraud (the largest in Canadian history). Successfully representing AT&T Wireless Inc./Cingular Wireless Inc. on its application for a TCI telecommunications license. Advising Barclays Private Bank Limited on a $260M loan and security to a TCI registered and regulated insurance company. B. A. (Hons) (Bristol), FCI Arb. B.Sc (University of Western Ontario), LL.B. (University of British Columbia). I did enjoy working with you on this project. I feel at times that I earned a Masters, if not a PhD, in TCI politics from you. You are a great teacher. It was at sometimes a frustrating, but always a fascinating degree. John Hilfinger, AT&T Wireless Inc. There is a word in Yiddish that I would like to bestow upon your firm. The word is "Mentschlekhkeyt". To be a mensch is to be of the highest caliber. It is reserved for people who walk in God's righteous path of kindness, honor, decency and charity (tikkun olam). It is reserved for special people, and it is the highest complement a Jew can pay to another. You have without a doubt the best library by far... Thank you so very much for the Ordinance and the Immigration reference; it was a huge help.